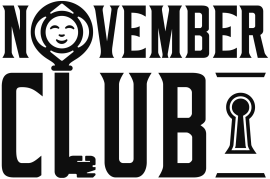 November Club is a performing arts company based in Morpeth, Northumberland, making playful and inspiring theatre and installations; telling unexpected stories of diverse people and places. Sharing memories, hopes and dreams is part of what we do. Weaving together historical and contemporary themes, our work is always made in collaboration with local people whose own tales become central to our projects. We have heard and told stories of bookworms and bakers, dreams of Primark and Burger King, a healthier job market, a more prosperous town, of past trips to the cinema with sweethearts, of closing down factories, of salmon fishing in the river, of visits to the theatre during wartime years… We bring stories of local history, hopes and pride to life. We bring communities together; creating memorable shared experiences, exploring new ideas, meeting new people and most importantly, making new fun. 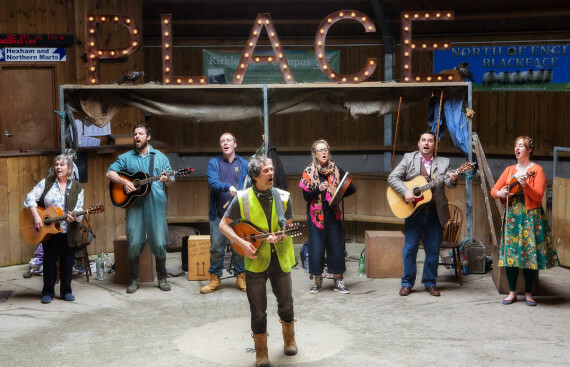 Beyond the End of the Road - a new musical for Northumberland. Hexham Auction Mart. © The Image Farm.